Cree Records was formed in early 2013 during a meeting of music enthusiasts sitting at the big wooden table in the Bear Family farmyard, somewhere in the barren wastes of the North German Plain between Hamburg and Bremen. Cree Records is a subsidiary of Bear Family Records. 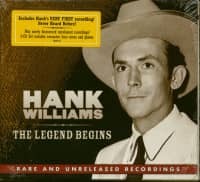 Since 1975, the world-famous record label puts out lavishly packaged re-issues of recordings from the past – not with the purpose of making a fast buck, but because everybody involved in the label’s business and its releases is obsessed with music. 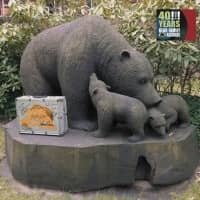 Bear Family Records enjoys a solid reputation as one of the world’s top quality re-issue labels and has received numerous awards. The company’s founder Richard Weize himself admits: “I’m a collector and I’m crazy.“ In late 2014, after more than forty years at the wheel, Richard decided to pull out of the operational business. He handled his business over to his longtime employees and managers, Michael Ohlhoff and Detlev Hoegen. Regardless of a particular musical genre – country, folk, rockabilly, rhythm & blues or calypso – whenever Bear Family stumbles over an interesting musical concept, contributors, producers and experts put their heart and soul into uncovering original master tapes, photographs, images and other material, conduct interviews and sort out the necessary licencing deals for making available again the recordings in question. For its uncompromising box sets Bear Family has received an impressive number of awards from near and far and a total of eight Grammy nominations for box set like ’The Bristol Sessions – The Big Bang Of Country Music’, ’Black Europe’, and – most recently – ’The Knoxville Sessions’. c experts and collectors from all musical genres are getting in touch with Bear Family. They have exciting new project ideas in their backpacks, but these often lie outside the limits of the classic Bear Family repertoire. In order to provide an outlet for such concepts, Bear Family and re-issue producer Merten Kaatz formed Cree Records – in this way expanding Bear Family’s musical range and its pool of contributors. In general, Bear Family concentrates on the first seventy years of the previous century, whereas the Cree Records catalog commences with the sounds of the 1960s with no limits into the 21st century. No matter when selecting reggae or ska, calypso and funk, ’70s and ’80s soul, rare grooves or forgotten top sellers, music from Trinidad & Tobago, Jamaica or Namibia: Cree Records will turn its attention to the dancefloor as well.